In Noida Extension, an area numerous family are shifting to, one school has quietly built a strong foundation and is already towering above all others! Delhi World Public School, Noida Extention, through dauntless courage and untiring devotion, has realized its dream of being a school that is truly international in flavor. The focus is not only to impart internationally acceptable education but also bloom young minds that are bustling with credence and self-motivation to take up real-life challenges. The school aims to develop global citizens through high-quality international education: connecting ideas, cultures, and educators from every corner of the world that enrich every member of our community. To inculcate the spirit of international co-existence, International Education Week is celebrated every year. 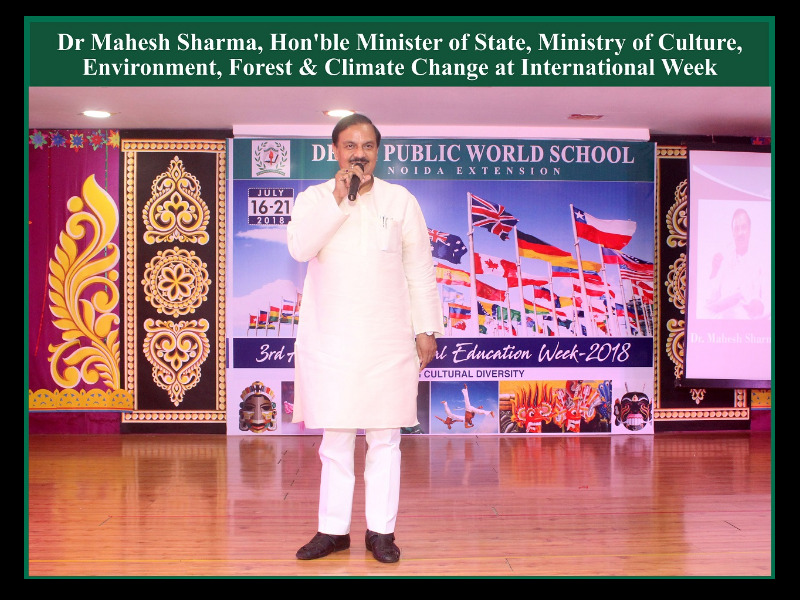 The weeklong celebration comprises of a plethora of activities for students like honing linguistic skills, Quiz, Collage-making, Poster-making and visiting various embassies, thus providing myriad opportunities to mould them to become global citizens. This mega event culminates with ‘Global Waves’ – the Carnival with the presence of many dignitaries and eminent personalities and performances of various artists from across the globe. No institution in the world has ever succeeded without a soul and the soul of our institution is our honorable chairman, Mr. Vipin Sahni, an eminent educationist, a visionary, a thinker and a mentor who dreams of a society of industrious intellectuals in and across the globe. His vision is to give a new dimension and a global recognition to the school. Also, the founder of Mayoor School, Noida, Mr. Vipin Sahni remarks “the exposure of Internationalism in Education has manifested in the student’s open-mindedness to new situations. By respecting the values and opinions of others, we believe, we are creating a foundation for creating global citizens that last a lifetime”. Moving ahead in the same spirit, the school is proudly hosting a STUDENT EXCHANGE PROGRAMME in which our students will host French Students from a highly reputed and prestigious school- Lycée Sainte- Marie Bastide Bordeaux, France who will visit the school in the month of April. The host families will take adequate care for their congenial and pleasant stay as the students will also spend some days in the educative excursions. The vision of the institution is to provide international learning opportunities to facilitate them to accept and understand the world that is a cauldron of composite cultures. It is through the International Students Exchange Programme that the School emboldens students to discover new ways of adaptability and learning to be a part of the global world. Students develop adaptability to embrace foreign cultures and promote liberal-mindedness. The learning experiences of our students should be enriched with cross-curricular activities which promote and facilitate global exposure. With a curriculum tempered with international exposure activities and the integration of foreign languages, the school has developed students as successful learners, confident individuals, responsible citizens, and effective contributors. 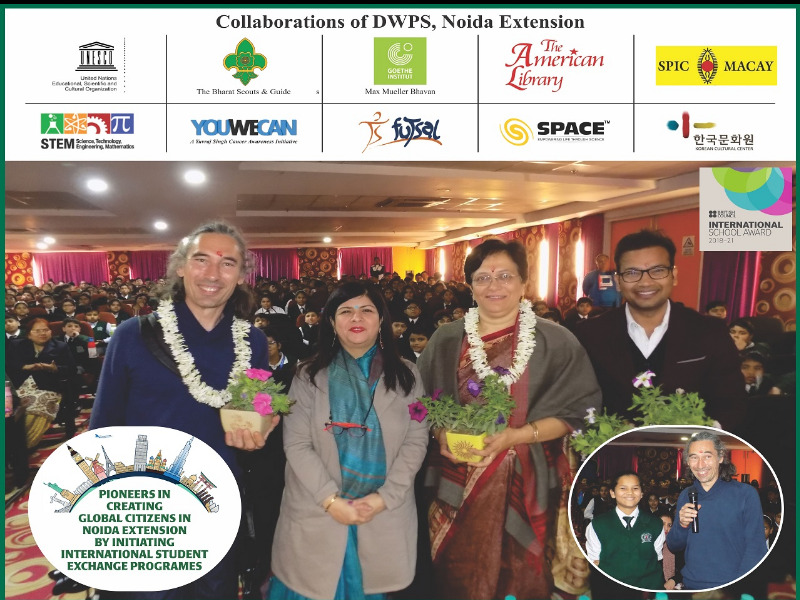 The Principal, Ms. Jyoti Arora sums it up- “it is a fervent wish and prayer that every child of DWPS gets an opportunity to learn in such exciting environment of inclusion, where he/she collaborates with people from various schools and countries across the world to learn about the issues that affect us all, as well as contemplate on the ways to solve them, thereby building a future that is joyful and purposeful”.